Living in a highly urbanized city has its perks and downsides. For one, risks and dangers are quite higher in this part of the area. So, I could only have the need to write some tips on road measures. Observe traffic rules. Countless of accidents happen because one is just stubborn or careless in following traffic regulations. Be more vigilant. Stop wearing headset or using your mobile if crossing or passing through the streets. Stay focused on the road. Wear protective gear / safety belts / warning signs. Wearing helmets, safety belts, pads, car warning signs have their uses especially during difficult times. Wear them for your protection. Check your vehicle regularly. 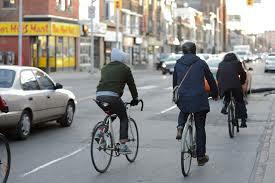 Using safe car / bikes can help prevent accidents.